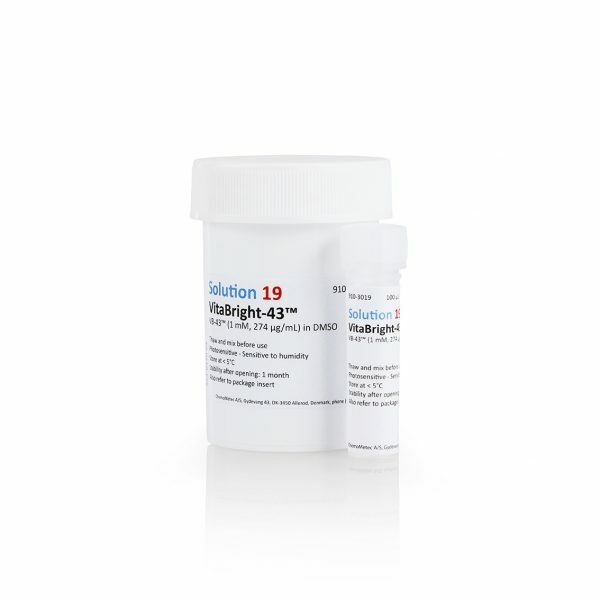 VitaBright-43™ is a non-fluorescent compound, however, it forms a strongly fluorescent product inside viable cells. VitaBright-43™ stains cells in an intensity-dependent manner reflecting their redox status. A high fluorescence intensity of a particular cell indicates that the cell has a high level of reduced thiols. VitaBright-43™ is a superior marker for detection of early to mid-stage apoptosis in mammalian cells. 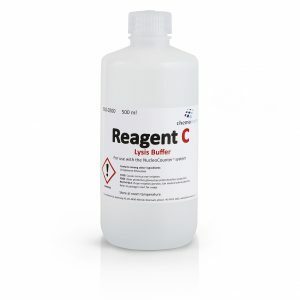 Bottle with 100 µl Solution 19 – VitaBright-43™. 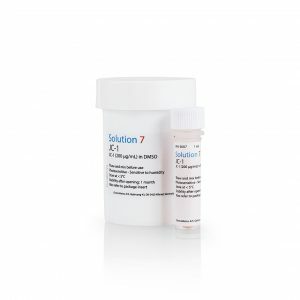 The solution contains VitaBright-43™ (1 mM, ~ 274µg/mL ~ 0.027%) in DMSO. 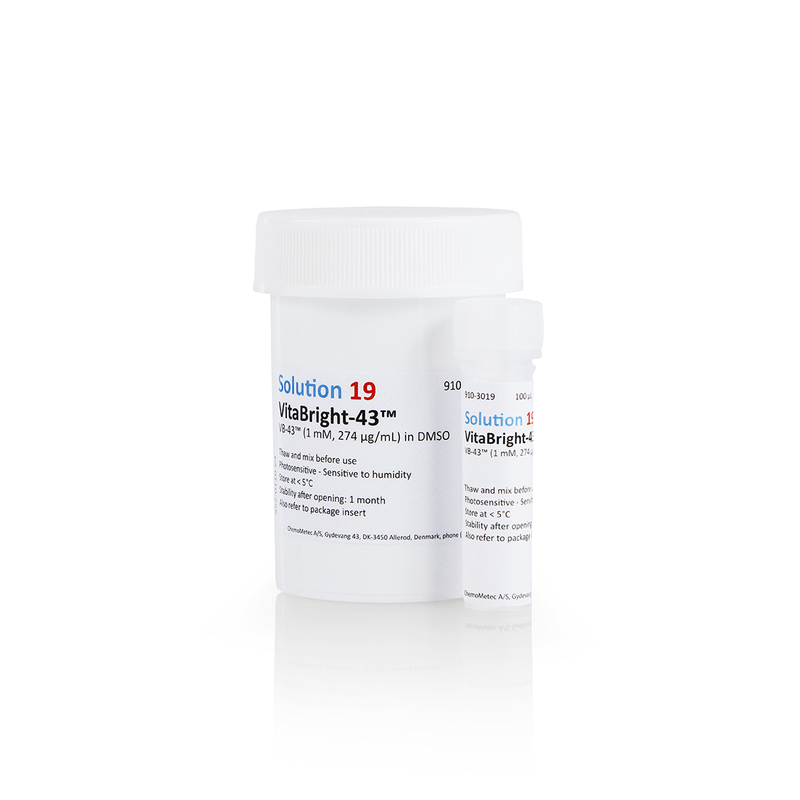 Solution 19 – VitaBright-43™ enables the user to detect changes in the level of reduced thiols such as GSH in apoptotic cells or cells undergoing other pathological processes. As the level of reduced thiols is an indicator of the overall health status, this assay provide a very easy and fast way to the evaluate cell vitality.